Prior to 1 December 2017? On or after 1 December 2017? as a result of you witness someone get injured due to an accident involving a car or other vehicle. A "vehicle" can include cars, trucks, buses, motorcycles, trains and boats. In order to be entitled to "damages" it must be able to be established that the accident was someone else’s fault. This is known as someone else being "liable". If you think you may qualify for this type of claim, it is important that you contact us immediately. The Motor Accident Compensation Act requires certain events to happen within set time frames. For example, in order to be eligible for car accident compensation it is necessary for the accident to be reported to police within 28 days of the accident occurring. 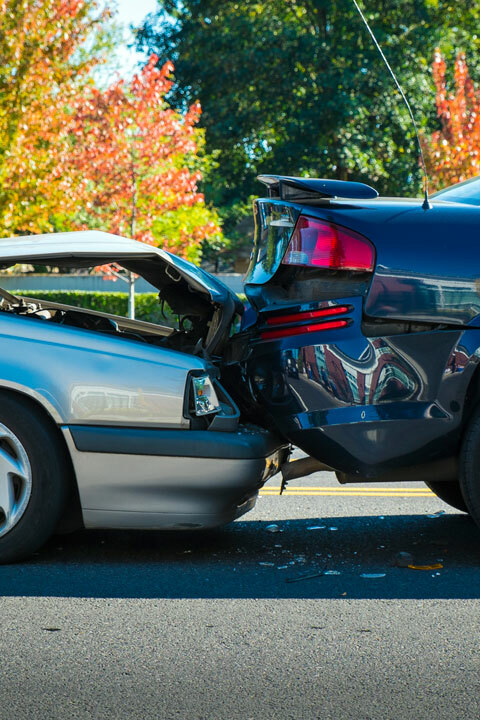 Your claim form must also be sent to the insurance company within 6 months of the date of the accident. If you have not completed these steps within these time frames, please contact us immediately as we still may be able to help you. However, the longer you wait, the less chance you will have of having your claim accepted. The nature and extent of your injury. The amount of time you have had off work. Your loss of wages and earnings. How your injury will affect your ability to work in the future. The type of medical treatment you need and the cost of that treatment. Whether you need help around the home as a result of your injury. Any compensation which you are entitled to, is paid by the "Green Slip" or "Compulsory Third Party" insurance company of the vehicle at fault in the accident. If you have been injured as a result of this type of accident, RMB's specialist compensation lawyers can help you secure the compensation you are entitled to. If you would like for one of our expert compensation lawyers to help you, please contact us at (or select 'Ask a Question' on the right) and we will contact you as soon as possible and within one business day at the latest. as a result of you witnessing someone get injured due to an accident involving a car or other vehicle. A "vehicle" can include cars, trucks, buses, motorcycles, forklifts, trains, earthmoving machinery and boats. In order to be entitled to compensation you are no longer required to be “not at fault” in an accident. For people who cause an accident and suffer injury, benefits such as income loss and medical expenses are claimable for a period of six months. For those who are injured due to the fault of another driver, there are potentially more significant types of benefits available. Those benefits are generally payable for significantly longer periods. in order to be eligible for compensation it is necessary for the accident to be reported to police within 28 days of the accident occurring. Ideally, your claim form should be lodged with the insurance company within 28 days of the date of the accident. If it has not been lodged within 28 days, it should be lodged within 3 months of the date of the accident. Any compensation which you are entitled to, is paid by the "Green Slip" or "Compulsory Third Party" insurance company of the vehicle at fault in the accident. This could therefore be your own Green Slip Insurer if you were the party at fault.